The AKC® Humane Fund is proud to announce the winners of the 19th annual AKC Humane Fund Awards for Canine Excellence (ACE). These awards celebrate five loyal, hard-working dogs that have significantly improved the lives of their owners and communities. One award is presented in each of the following five categories: Uniformed Service K-9, Service, Therapy, Search and Rescue and Exemplary Companion dog. This year’s winners range from a therapy dog who helped comfort students after a school shooting to a family pet who helps a young boy battle autism. Each ACE recipient will receive $1,000 to be awarded to a pet-related charity of their choice, a one-year pet insurance policy from AKC Pet Insurance, and an engraved sterling silver medallion will be presented to each at the AKC National Championship presented by Royal Canin in Orlando, Floridaheld on Saturday and Sunday, December 15-16, 2018. The 2018 AKC Humane Fund Awards for Canine Excellence are proudly sponsored by EUKANUBA™ Pet Food. 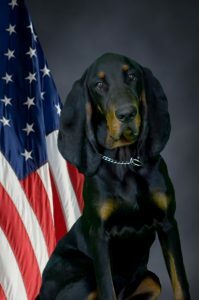 “K-9 Copper,” officially known as Oak Hills Above and Beyond by Brenmaur, is a 2-year-old Black and Tan Coonhound serving the Cocoa Police Department with his handler, Officer Chris Hattaway. He is a registered therapy dog and is trained to track missing persons. One of the most significant parts of his job as a Cocoa Police K-9 is community engagement and public relations. Copper’s role in the department has helped bridge the gap between the Cocoa community and the police. Copper’s presence during police interviews changes the atmosphere for people who have been traumatized, including children, victims of sexual or domestic abuse, the elderly and more. Copper’s warm and comforting energy helps put victims’ minds at ease while interacting with police and telling their stories. His participation in interviews gives police the ability to create a bond and build trust with victims. 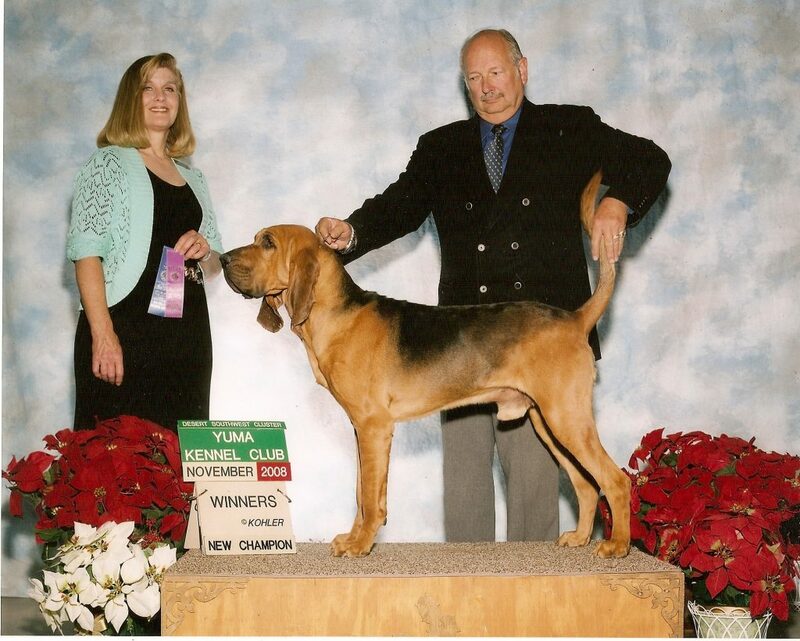 When Copper is not at work with the Cocoa Police, you might find him in the Conformation ring at a dog show or representing the Black and Tan Coonhound at the AKC Meet the Breeds booth at the AKC National Championship in Orlando. K-9 Copper has become somewhat of a local celebrity in his community and he also poses as an ambassador for his breed and his police department. “Sampson” is a 3-year-old Golden Retriever certified by Paws Giving Independence. After a life-altering accident in 2006, Joey Ramp was left recovering from a brain injury, mobility complications and nerve damage. She was also struggling with the onset of complex-post traumatic stress disorder (C-PTSD). As Joey’s service dog, Sampson assists with mobility, bracing, climbing stairs and retrieving items, among other tasks. He alerts Joey to an elevation of PTSD symptoms, like panic and anxiety. When Ramp went on to pursue a PhD in Neuroscience she was faced with the challenge of her university not allowing service dogs in laboratories. Joey and Sampson fought the university policy to overcome service dog access obstacles. 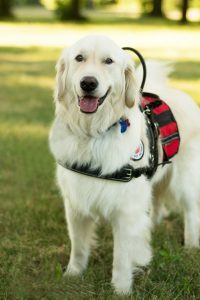 Sampson is now the first service dog to gain access to a biology and research laboratory at the University of Illinois. This big change in the university’s policy is now promoting change in other universities nationwide. The pair is currently working to launch a two-year research study to measure the impact a service dog has in a laboratory environment in hopes that it will help develop a national model for service dog accommodations. Joey has also developed a template for the American Chemical Society outlining service dog accommodations in chemistry laboratories and has designed chemical resistant outerwear for service dogs. “Kol,” an 8-year-old Golden Retriever, officially known as GCHB CH Gemini’s House Of The Rising Sun CDX BN RAE JH THDD CGCA TKA, is certified by Paws for Assistance and owned by Jane Eisenberg. Kol is an AKC Grand Champion and has earned many AKC titles including the AKC Therapy Dog Distinguished (THDD) by completing at least 400 therapy dog visits. Jane and Kol have spent the past six years comforting people who have experienced trauma, but nothing was quite like their last assignment. They spent almost four months at Marjory Stoneman Douglas High School (MSD) in Parkland, Florida following the devastating shooting that occurred on February 14. Jane and Kol arrived to meet MSD students the day after the tragedy and braced themselves before entering. They spent the next few days comforting students, parents and faculty, but the team knew the grieving wasn’t nearing an end any time soon. They eventually were situated in room 723, directly across from where the shooting occurred. Kol greeted students as they entered the classroom and would make his rounds, lending comfort to anyone in need. Many students were overcoming different struggles, including but not limited to: stress, anxiety, grief and post-traumatic stress disorder (PTSD). Some of the students were even injured in the shooting. Room 723 became a place of peace and calmness, thanks to Kol. During classroom changes, Kol would gather his favorite stuffed animal and proudly strut through the halls of the school. As he walked down the hallways, Kol was greeted by students and would often bring smiles to their faces. Although Jane and Kol’s time at Marjory Stoneman Douglas has come to an end, the incredible pair has helped heal some wounded hearts along the way. 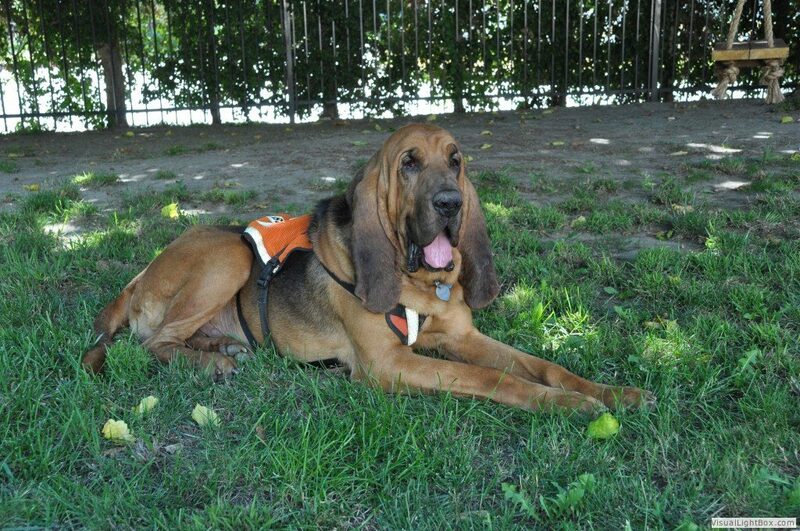 “Inspector Gadget,” officially known as CH Inspector Gadget Sniffs Spottyacre, is an 11-year-old Bloodhound. He is a Volunteer Mission Ready Search and Rescue Dog with the California Rescue Dog Association (CARDA). Inspector Gadget and his handler, Bob Wells, have deployed dozens of times to assist in locating the missing and bringing them home. The pair has dedicated thousands of hours to training and performing searches throughout the southwest. Inspector Gadget has established himself as an outstanding tracking dog in the field. In one case, Bob Wells and Gadget were deployed to Nevada to help locate a missing person. After trailing from the vehicle and following up on possible sightings, Gadget was able to lead the search team to the location of the subject. His tireless work on this case helped grant closure to a grief-stricken family. As a member of the Search and Rescue team, Inspector Gadget also attends community events to spread awareness and education. “Teddy” is a 6-year-old Standard Poodle, officially known as Jed’s Theodore Roosevelt SH CD BN RE TD TDU CGC. He is owned by Terri and Spencer Pardee and has helped Spencer gain confidence through his ongoing battle with autism. Spencer was adopted from Guatemala by the Pardee’s at just eight months old. He was highly intelligent with extreme anxieties and fears, later to be diagnosed with “high-functioning autism”. His fears even extended to their family Golden Retriever. Terri Pardee, a psychologist who focused heavily on animal-assisted therapy, wanted desperately to bring a dog into her son’s life. She brought him to 4-H events to help get him acclimated with dogs. However, rather than participating in training exercises, Spencer spent much of his time sitting under a tree, holding onto a leash with no dog at the other end. When the family Golden Retriever passed away, Pardee knew it was time to get another dog. The Pardee family went on to purchase a Poodle puppy, Teddy, from a breeder nearby and life was never the same for them. Teddy and Spencer began bonding right away and Teddy slowly helped Spencer break out of his shell. 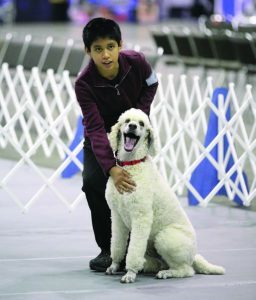 The boy and dog duo began competing in various AKC sports like Obedience, Tracking, Rally, Agility and Junior Showmanship. The boy who once held an empty leash was now earning AKC titles and competing at events with hundreds of people. 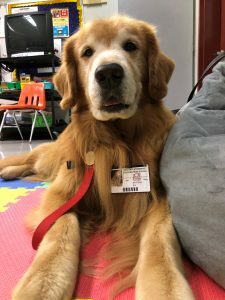 He was able to give an Obedience demonstration in front of a classroom of students who he was once afraid to sit with. Teddy opened up Spencer’s world and helped him face his fears in a way that may not have been possible without him. The AKC Humane Fund, Inc. unites animal lovers in promoting the joy and value of responsible pet ownership through education, outreach and grant-making. The Fund provides financial grants to domestic violence shelters and Breed Rescue organizations and awards scholarships to students pursuing professions that strengthen the human-animal bond. The AKC Humane Fund’s Awards for Canine Excellence are given each year to promote the important role dogs play in our lives. Contributions to the AKC Humane Fund are fully tax deductible as allowed by law under Section 501(c)(3) of the IRS Code. For more information, visit www.akchumanefund.org.